HR Executive Jobs in Kotak Mahindra | Walkin Drive On 11th May 2017. 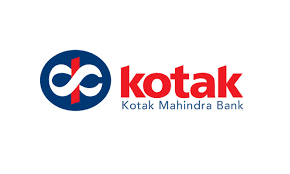 Kotak Mahindra is going to conduct walkins in Mumbai for BBA, BMS, B.Sc, B.Com, BA, MBA freshers and experienced candidates. Aspirants should have good command over English. Interested people can check Kotak Mahindra Eligibility criteria, walkin date, and venue which are provided in the below section. Kotak Mahindra job openings in Mumbai for recruit HR Executive contenders. Nowadays competition for these Insurance industry field Jobs has increased excessively. Candidates who had completed BBA, BMS, B.Sc, B.Com, BA, MBA are only eligible to attend. So aspirants have to practice hard to ace this test with the help of Kotak Mahindra Aptitude Test Papers and Kotak Mahindra Syllabus which will give clarity to perform well in this organization. In this post, we have provided the complete details regarding Kotak Mahindra Recruitment 2017. Internship experience or consultancy experience into recruitments would be an added advantage. Should have knowledge of HR Activities. Coordinate with all the Stakeholders and candidates as required to drive the activities. Maintaining individual Trackers and preparing reports to submit it to the reporting manager. Responsible for handling Walk-in drives independently. Good command over English (oral and written). Please go through the job description. Be through with HR activities. Kotak Mahindra Old Mutual Life Insurance Limited is a joint venture between Kotak Mahindra Bank Ltd, and Old Mutual plc. This company offers Life Insurance products. It is one of India premier & growing insurance company employing over 1000 people, across various offices in India. Rapidly build skills, knowledge, and experience. Recruit and Retain the best. Deliver the best – working with the most talented colleagues. Be recognized and rewarded for their achievement by accelerated career paths and differentiated rewards. Work in a challenging environment that constantly demands them to operate at the edge of their ability. Kotak Mahindra Walkin Recruitment 2017 for HR Executive Positions in Mumbai on 11th May 2017. Aspirants who are going to appear for Kotak Mahindra Interview they can check the mandatory details. We hope that the above provided information is useful for the job viewers. For more jobs, data candidates can go through our web portal All India Jobs for prescribed information.